Did you know that an electrolyte imbalance is common when eating keto? At least there is an easy fix for it. Magnesium deficiency is common for people who have cut their carbs and are deep in ketosis, but it can be fixed with an easy supplement. Magnesium is one of the minerals in our bodies that we are most often lacking. We need it for energy production, to synthesize DNA and RNA, and to help transport calcium and potassium ions across our cell membranes, which helps our nerve impulse conduction, muscle relaxation and contraction, and to regulate our heart rhythm. Magnesium is a macro-mineral that is important to your body, especially when attempting a keto diet. Below, we’ll outline a few supplements that can keep you feeling your best. I’d definitely recommend taking it, especially if you have symptoms of the keto flu. I’ve found a few different magnesium supplements to help you stay keto, plus feel good. 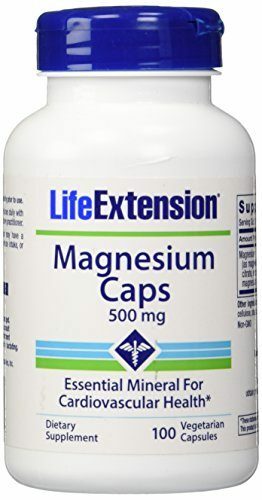 The Life Extension magnesium capsules are part of Life Extension’s range of wellness products including vitamins and minerals, supplements, herbs and botanicals, hormones, skin and personal care, diet and lifestyle products, and even supplements for your canine or feline family member. The recommended daily allowance of magnesium is different for each person based on their age and gender. So that means that a male that is aged 19-30 is recommended to take 400 mg per day while a female the same age is recommended to only take 310 mg.
Life Extension’s capsule is 500 mg, which is about 125% of the daily recommended value. 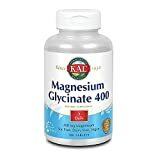 Each capsule has four different types of magnesium to help you reach that daily dosage, including magnesium oxide, citrate, succinate, and TRAACS® (registered trademark of Albion Laboratories) magnesium lysyl glycinate chelate. It’s important for our bodies to maintain balanced magnesium levels to help relax the muscles within our blood vessels, promote a healthy cardiovascular system, and help our body to metabolize minerals to repair and rebuild. Unlike other supplements, Life Extensions Magnesium is not labeled as soy, gluten, yeast or starch free. Dr. Mercola is a Chicago doctor who discovered the world of natural medicine in the 1990’s. He started his website as a way to help people be “as healthy as you can possibly be.” A portion of the profits from his site goes to various non-profit organizations. So you can take care of your health and do some good in the world. 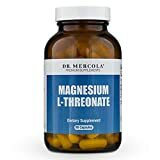 Dr. Mercola Magnesium L-Threonate capsules are one of the different types of magnesium supplements offered by Dr. Mercola. Like with most wellness companies out there now, Dr. Mercola also provides other supplements, proteins, food and drinks and personal care items. Let’s not forget about his line of products for home and garden, pets, kids, fitness, books, and dvds. Magnesium L-Threonate has a better absorption rate – which basically means that your body will use more of the good stuff instead of it passing right through your system. Its high cellular penetration helps it cross your blood-brain barrier and penetrate the cell membranes to support and detoxify your brain and body. 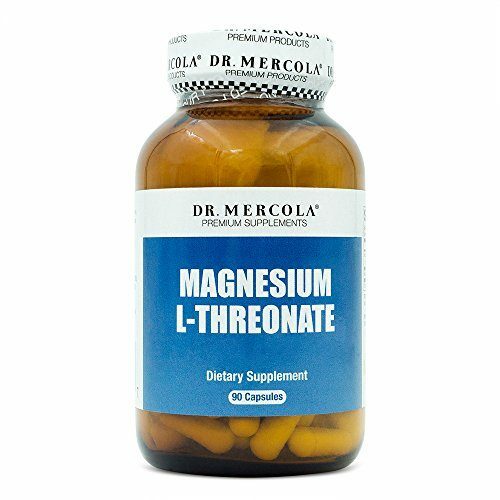 Unlike Life Extension, the serving size for Dr. Mercola’s Magnesium L-Threonate is three capsules. Rather than just popping one capsule once a day, the L-Threonate recommendation is to take two capsules mid-day and one at night, about two hours before bed. For some people, this may sound pretty high maintenance. But once you take all three capsules, you’ll have taken 2000 mg of Magnesium L-Threonate, including 144 mg of elemental magnesium. KAL got its name from the very first product they offered in 1932 – a calcium/phosphorus powder. Then in 1995, it was acquired by Neutraceutical and went from focusing on powders to tablets, and then a full line of wellness products. KAL also created one of the first nutritional supplement lines in the U.S. They now offer a range of vitamins and minerals, its own Stevia sweetener, kids vitamins, digestive ingredients, probiotics and enzymes, a full line of amino acids, and topicals like tea tree oil, deodorants, creams, and facial gels. 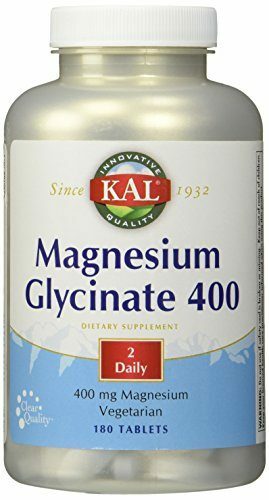 The KAL – Magnesium Glycinate 400 is another option to make sure your magnesium levels don’t fall too low while on the keto or low-carb diet. The daily serving size is two tablets, which is a total of 400 mg of magnesium as magnesium glycinate. Unlike the other two on my list, KAL’s nutritional label shows it has 1g of dietary fiber and total carbs. So if you’re counting calories, add five calories for each serving. Magnesium glycinate is one type that’s better absorbed by the body and is gentler on your stomach. Though the tablets themselves might be a bit big, you can just cut them in half to make them easier to swallow. Although there’s nothing on the label about it, the quality control section of their site explains that all products are manufactured following current GMP practices. The good thing about KAL’s supplement is that you just take two tablets, one time per day. It’s easier than having to break up the dose throughout the day. It’s also labeled as vegetarian, in case that’s something that’s important for you. Real food is always number one choice for getting all your vitamins and minerals. Take magnesium tablets with or just after a meal for optimal absorption. Take Mg either in the morning with breakfast or with dinner in the evening. 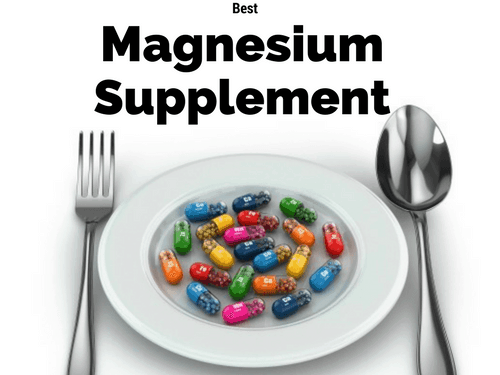 The set upper limit for supplemented magnesium is 350mg/day. You can safely take more than that per day. However, very high doses of magnesium have cause bad side-effects. Hypotension, nausea, vomiting, facial flushing, retention of urine, ileus, depression, and lethargy before progressing to muscle weakness, difficulty breathing, extreme hypotension, irregular heartbeat, and cardiac arrest. Even though a keto or low carb diet can help some health or weight-loss issues, it’s important to remember that it can also deprive your body of essential minerals. Best Potassium Supplements when on keto. Best Ear Plugs for Sleeping at night. Best Blue Light Blocking Glasses to help protect your body clock. Best Melatonin Supplements to help beat jet lag or help insomnia.